Amazon Kobo itunes B&N and others! Nao Murata is on the verge of brokering peace between his syndicate and the Mafufugumi mob. To seal the deal, he’ll need to pick up Russian prostitutes to appease his newest ally. When the exchange goes sour, both sides draw blades and Nao has no choice but to care for a blood-soaked enemy. If the man doesn’t make it through the night, Nao and his crew will pay with their lives. Outnumbered and stranded in enemy territory, Nao is forced to fight his way out before the Mafufugumi Godfather takes the deal off the table. As his wounded enemy’s heartbeat slows, Nao must act fast or condemn his syndicate to a brutal war. 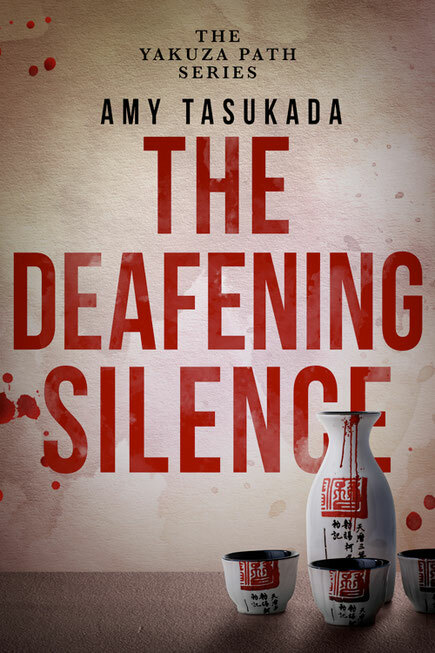 The Yakuza Path: The Deafening Silence is the fourth book in a series of Japanese mafia thrillers. If you like twisty action, authentic settings, and a touch of gay romance, then you’ll love Amy Tasukada’s pulse-pounding series. Buy The Deafening Silence to immerse yourself in a bloody mafia tale today!